This Fish preparation tradionaly comes from West Bengal and Kerala. A crispy-tender and delicious starter . Add your comments. Mix the masala and chopped coriander ,fried curry leaves and fried onion pieces. 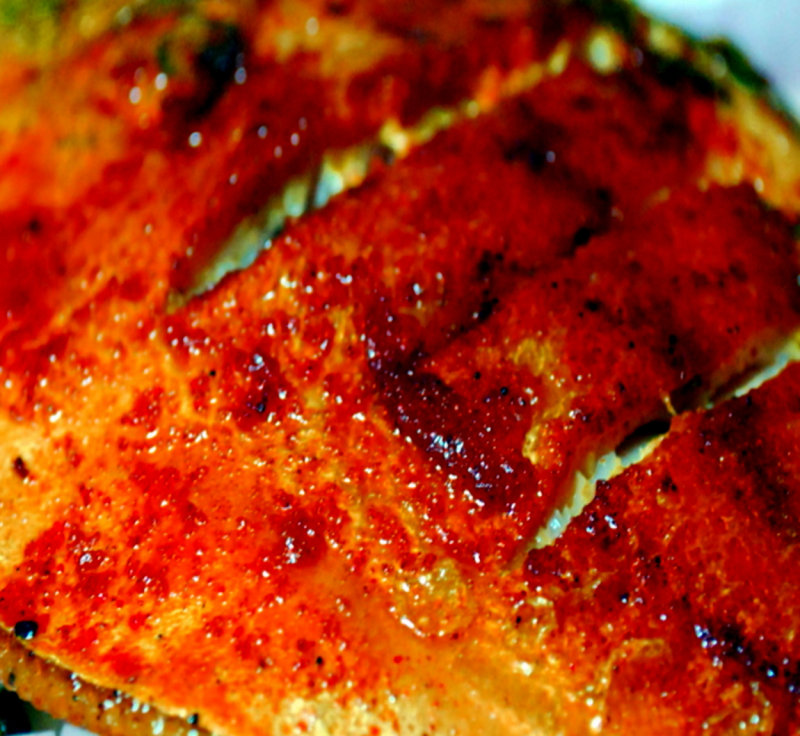 Apply or coat the masala evenly over the fish and inside it too. Wrap the fish in banana leaf. Heat 1 tbsp oil in a Tawa and place the fish (wrapped in banana leaf) , close the lid and cook for 7 mins per side. Garnish with fried onions chopped coriander leaves and fried curry leaves. You can do the same preparation by wrapping the fish with aluminum foil. This fish preparation is tastier than the normal fish fry. sorry, cook for 7 mins per side on medium flame .Before serving the fish ,brush little refined oil(or coconut oil) on the fish.